The Hebrew alphabet, known variously by scholars as the Jewish script, square script, and block script, is an abjad script used in the writing of the Hebrew language. 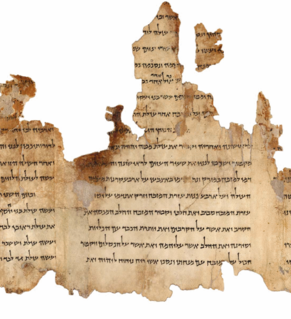 It is also used in the writing of other Jewish languages, most notably Yiddish, Judaeo-Spanish, and Judeo-Arabic. The Eurovision Song Contest 1979 was the 24th edition of the annual Eurovision Song Contest. It was held on 31 March 1979 in Jerusalem, Israel, following the country's win at the 1978 edition. The event was staged at the International Convention Center. The presenters were Daniel Pe'er and Yardena Arazi. Hakol Over Habibi was an Israeli musical band which represented their country in Eurovision Song Contest 1981 with the song "Halayla". The band consisted of: Shlomit Aharon, Kikki Rothstein, Yuval Dor and Ami Mendelman. They had originally been offered the song "Hallelujah" as a potential Eurovision entry in 1978 but turned it down. The song went on to represent Israel in 1979 but was performed by Gali Atari and Milk and Honey winning that year contest. The song is regarded as a classic of the contest due to the unique performance, in which Atari and her backing singers entered the stage one by one, rather than all together. It was also performed at the end of the Eurovision Song Contest 1999 by all the contestants as a tribute to the victims of the wars in the Balkans. It has also become something of a modern Jewish standard, recognized by many North Americans who might have never even heard of Eurovision. The Eurovision Song Contest 1999 was the 44th edition of the annual Eurovision Song Contest. It took place in Jerusalem, Israel, following Dana International's win at the 1998 contest in Birmingham, United Kingdom with the song "Diva". This was Israel's third victory in the contest, and the second time hosting the event. Dschinghis Khan is a German pop band. It was originally formed in Munich in 1979 to compete in the Eurovision Song Contest with their song "Dschinghis Khan". In 2018, there have been two groups with the name: the one led by original members Henriette Strobel and Edina Pop, and a more current group led by original member Wolfgang Heichel and Stefan Track, who replaced the late Louis Potgieter in the 2005 reunion concert. Dschinghis Khan was the West German entry in the Eurovision Song Contest 1979, performed in German by Dschinghis Khan. Cover versions by a number of other artists were subsequently released as singles and album tracks. "What's Another Year" was Johnny Logan's first Eurovision Song Contest winner, achieving success in the 1980 edition of the Contest. This was Ireland's second Contest victory. Composed by Shay Healy, the song reached number one in the UK Singles Chart for two weeks in May. Israel did not enter the 1980 Contest, which would have been held in that country had they entered (it was in fact held in The Hague). Israel returned to the fold for the 1981 Contest, where this song was succeeded as Israeli representative by Hakol Over Habibi with "Halayla". The husband-and-wife singing duo of Steve Lawrence and Eydie Gorme released the song in early 1979 on Warner Brothers Records. The song was a modest hit on the adult contemporary chart, and the couple also performed it on The Tonight Show Starring Johnny Carson . They also recorded a live version which was released on Applause Records in 1982. There is also a undocumented Polish version by Eleni Tzoka, recorded under title "Alleluja miłość twa". Avigail "Gali" Atari is an Israeli singer and actress. Atari won the Eurovision Song Contest 1979 which was held in Jerusalem, Israel, with Milk and Honey. Milk and Honey was an Israeli singing group consisting of Re'uven Gvirtz, Shmulik Bilu, Yehuda Tamir and Gali Atari. The group performed at the Eurovision Song Contest 1979, where they won with the song "Hallelujah". Their track peaked in the UK Singles Chart at #5 in April 1979. They made two further attempts to represent Israel in the contest. In 1981 they sang the song "Serenada" which came fourth in the national final. 1989 saw them slip to eighth place with Ani Ma'amin. In 1988, two of the group accompanied Yardena Arazi on stage at the Eurovision final in Dublin, Ireland, when she performed the song Ben Adam, but were not credited for this appearance. 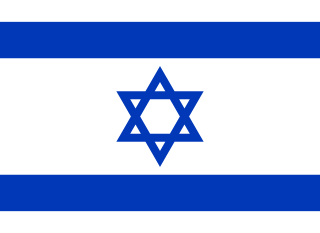 Israel has participated in the Eurovision Song Contest 41 times since making its debut in 1973. Israel was able to enter the contest as the Israel Broadcasting Authority (IBA) is a member organisation of the European Broadcasting Union, which is responsible for the event. Israel has won the contest four times, and has hosted the contest twice, in 1979 and 1999, both times in Jerusalem. Israel will host the contest for the third time in Tel Aviv in 2019. 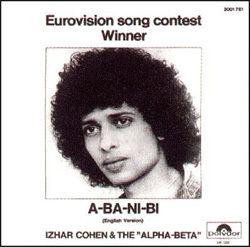 "A-Ba-Ni-Bi" was the winning song in the Eurovision Song Contest 1978, performed for Israel by Izhar Cohen and Alphabeta. 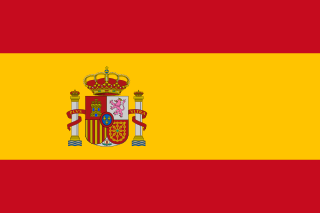 "Tu te reconnaîtras", sung in French by French singer Anne-Marie David representing Luxembourg, was the winning song at the Eurovision Song Contest 1973 – on one of the rare occasions when a country has won the contest two years in succession. Vicky Leandros had won the 1972 Contest for Luxembourg with "Après toi" and the 1973 edition was consequently held in the Luxembourgish capital. Performed eleventh on the night – after Italy's Massimo Ranieri with "Chi sarà con te" and before Sweden's Nova with "You're Summer" – it was awarded a total of 129 points, placing it first in a field of 17. "Krøller eller ej" was the Danish entry in the Eurovision Song Contest 1981, performed in Danish by Tommy Seebach and Debbie Cameron. "Je suis l'enfant soleil" was the French entry in the Eurovision Song Contest 1979, performed in French by Anne-Marie David. David had won Eurovision six years earlier, representing Luxembourg at the 1973 Contest with "Tu te reconnaîtras". Halayla, listed as Halaylah in the official Eurovision website, was the Israeli entry in the Eurovision Song Contest 1981, performed in Hebrew by Hakol Over Habibi. "Leha'amin" was the Israeli entry in the Eurovision Song Contest 2004, held in Istanbul. The song was performed in Hebrew and English by David D'Or, who was selected to represent the country by the Israel Broadcasting Authority (IBA) in November 2003. The song, co-written by D'Or and Ehud Manor, is a ballad, with lyrics about the need to maintain faith in the basic goodness of humanity, despite considerable evidence to the contrary. The Kdam Eurovision in short known as the Kdam was the Israeli national preselection of the Eurovision Song Contest. 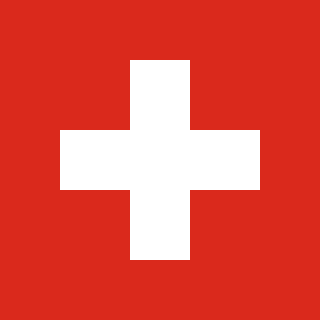 The competition was first introduced in 1981 and was discontinued in 2011. Beatriz Teresa Missiego Campos better known as Betty Missiego is a Peruvian singer, who holds dual Spanish citizenship since 1972 and lives in Spain. Push the Button, known in Hebrew as Red Button, was the Israeli entry in the Eurovision Song Contest 2007, performed in English, French and Hebrew by Teapacks. This song was the first Israeli entry to feature lyrics in French, and thus the first to feature lyrics in any language but Hebrew and English. The entry won that representation by an absolute majority, winning the 20% televote, 20% SMS vote, 20% pre-vote and the 40% jury vote. Teapacks had been selected as the Israeli representative by the Israel Broadcasting Authority and invited to perform four songs at the national final to determine which one would be performed in Helsinki. West Germany was present at the Eurovision Song Contest 1979, held in Jerusalem, Israel. Israel participated in the Eurovision Song Contest 2009. After much deliberation at the IBA over who would be the Israeli representative, it was announced that Noa & Mira Awad will go to Moscow for Israel. Chocolate, Menta, Mastik was an Israeli female musical trio, active in the 1970s, composed of Yardena Arazi, Ruthie Holzman and either Tami Azaria (1972-1973) or Leah Lupatin. All the women served in the IDF as part of the Nahal Ensemble. The trio performed both in Israel and internationally, especially after being the 1976 entry to the Eurovision Song Contest in The Hague with "Emor Shalom". Leah Lupatin later worked with Eurovision winners Milk and Honey, replacing Gali Atari to perform 1979 winning Eurovision entry "Hallelujah" in live concerts, including the 1981 Songs of Europe programme. Lupatin backed Yardena Arazi when she took part in the Eurovision Song Contest 1988. Kobi Oshrat is an Israeli in composer and conductor. He composed and conducted the winning entry at the 1979 Eurovision Song Contest Hallelujah sung by Gali Atari and Milk and Honey. Israel returned at the Eurovision Song Contest 1981 held in Dublin, Ireland, after withdrawing from the 1980 contest because of National Day of Remembrance. ↑ O'Connor, John Kennedy (2007). The Eurovision Song Contest - The Official History. UK: Carlton Books. ISBN 978-1-84442-994-3. ↑ "Israel Readies for 70th Anniversary in Song". Jerusalem Post. March 26, 2018. ↑ Graclík & Nekvapil 2008 , pp. 177, 424. ↑ Lehotský 2008a , p. 31.